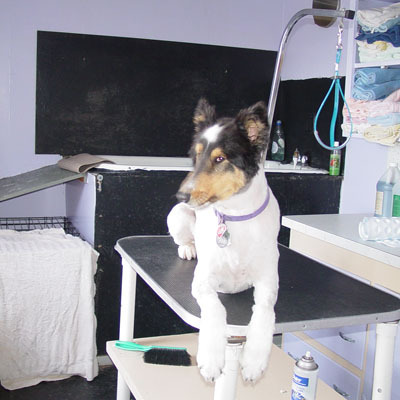 Bath, brush out, blow dry, ears cleaned, breed specific or customer requested haircut & nails trimmed. Prices depend of size & temperment of dog, condition & length of hair. Check out our portfolio! Includes deep cleaning formula to remove difficult odors while gentle on the coat and skin. Includes a lathering flea & tick shampoo enriched with moisturizers that kill fleas & ticks, while removing loose dandruff, dirt, & scales leaving the coat soft & shining.